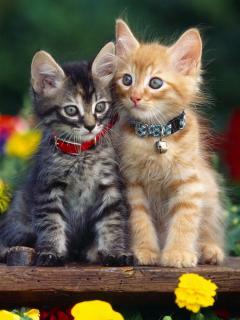 Today it is believed that two-color cats are the softest, kind, balanced, obedient and friendly. 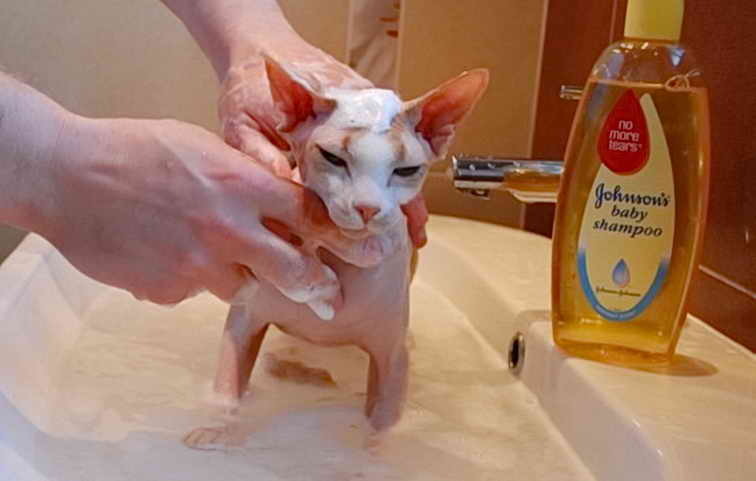 They are very easy to comb out and bathe, which must be done quite often – two-colored cats require care at least once every 10 days, and it is better to comb them daily. However, perhaps the need for such careful care and reduces the demand for bicolor cats, which are less popular than animals of other colors. The quality of color in such animals determines their dominant color, on which large or small monochromatic spots appear. The names of colors are also determined by the primary color. For example, there are black and white, white and blue, chocolate and white and other types of cats. The main requirement for cats of this color – specks should not be mixed with each other, and the upper body should be predominantly colored. Sometimes two-colored cats (most often British) are also called magpie – megpay, from the English word “forty”. The most popular breed of bicolor cats is British. In this breed, two-colored kittens are very common and have a wide variety of colors – from noble black and white to exotic lilac-white or cream-white. This variety was recognized only by 1970, and in the United States – by 1980, and already quite late (in 1986), harlequin cats were singled out from the general array of two-colored British. This is also a bicolor cat, but their dominant color (mostly white) occupies almost 5/6 of the body surface, and specks of a different color extend to 1/6 of a part. And, as a rule, a two-color cat of this breed can wear no more than three spots on any parts of the body except for the tummy. Also, this variety is distinguished by the eyes – the British bicolor has copper-colored or dark orange eyes, and sometimes there is also an exotic variety – with one orange and one blue eye. 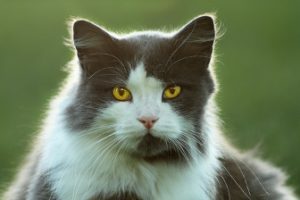 Another variety of two-color cats is the Van: these are cats of a completely white color with a few specks on the head, which can affect both ears. 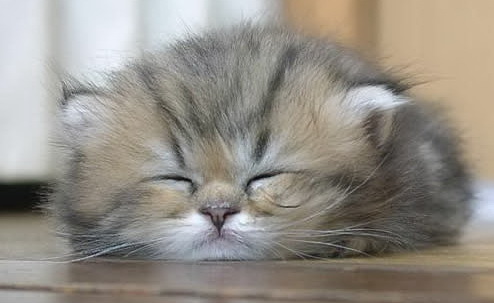 In addition, two-colored cats are characteristic of the popular Persian breed. Such cats have two subclasses depending on the dominance of color – it can be either white or some other. Also bicolors include only those two-color kittens-Persians, whose little body is painted in the dominant color at least half or two thirds. 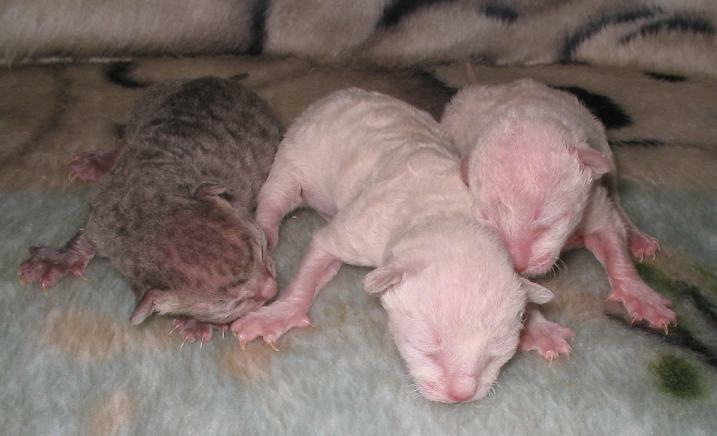 Finally, Angora (with several variants of color with amber-orange eyes) and Siberian bicolor cats (any amount of white and white spots in combination with any dominant color) are also popular with razvodchiki. It is believed that this is a very difficult, but interesting task, because even parents who have perfect colors can get unequal kittens. 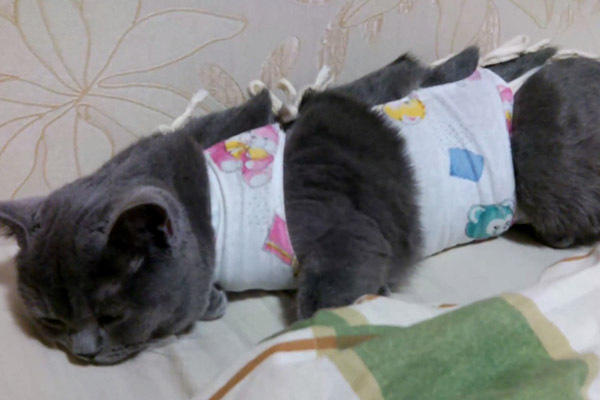 Also, breeders tend to get a symmetrical pattern from two-colored kittens, which is very difficult to do, so these cats are considered very expensive and rare. As a rule, a standard two-colored cat is obtained from the pairing of a three-colored tortoiseshell cat with a bicolor cat or two two-colored animals. With different combinations of the colors of the parents, kittens with up to 17 different color variations can be obtained, which is why their breeding is becoming more and more interesting and popular among razvodchiki all over the world.